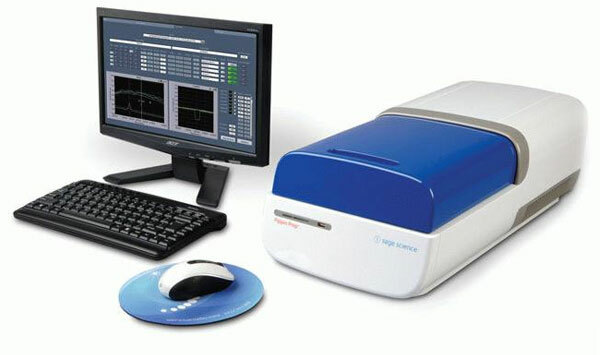 The GSL operates an Agilent 2200 TapeStation, which is similar to the Bioanalyzer 2100, performing size/integrity analysis and quantification of nucleic acids. Instead of chips, the TapeStation system uses credit card-sized, disposable Agilent ScreenTape available for DNA (up to 10kb), High Molecular Weight DNA (up to 60 kb), and RNA. 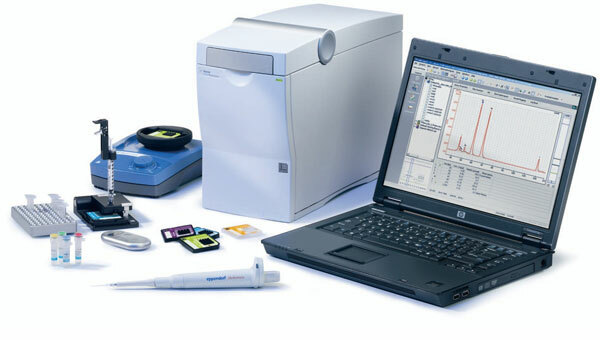 The GSL houses an Agilent 2100 Bioanalyzer, a microfluidics system capable of estimating the size and concentration of DNA and RNA samples. This instrument is often used for quality control of samples prior to next generation library construction and sequencing. 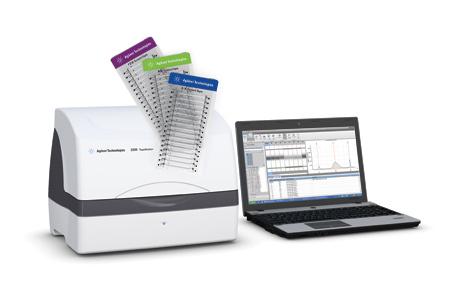 The Agilent 2100 Bioanalyzer requires only a small amount of sample (users are asked to submit ~5ul of sample) at a concentration of 1-5ng/ul for the High Sensitivity DNA Chip and the RNA Pico Chip, or at a concentration of 50-500ng/ul for the RNA Nano Chip. The GSL currently offers sample QC on a per chip and half-chip cost. The Covaris S220 Ultrasonicator uses focused acoustic energy to shear genomic DNA and chromatin samples to reproducible sizes. The GSL currently offers training on the Covaris instrument, and once complete, users can utilize an online calendar to sign up to use the instrument for an instrument usage fee. Protocols for shearing to a variety of size ranges from 150 to 5,000bp are available from Covaris. Users can request training and instrument time through our online Submission System. 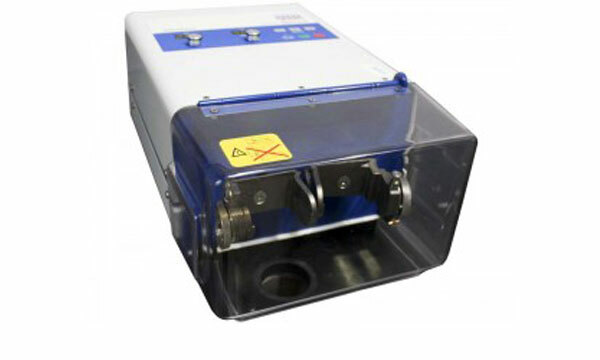 The Pippin Prep is an electrophoresis platform capable of size-selecting DNA fragments and automatically collects the fractions in buffer according to the user-specified size range. It is routinely used to size-select next generation sequencing libraries. It is capable of performing narrow size selections from 50bp to 50kb in only a couple of hours. Customers may drop off samples to be run by GSL personnel. This service is available through our online Submission System. 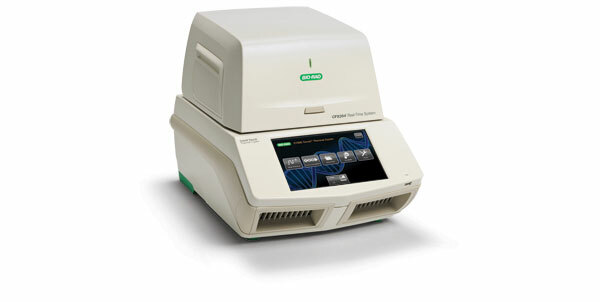 The GSL allows customers to use the BioRad CFX384 Real-Time PCR after supervised training on the instrument has been completed. Trained users are given access to an online calendar where they can sign up for times to use the instrument. Customers are responsible for setting up their own reactions in a 384 well plate approved for use on the instrument and covered with an optical heat seal. Customers are charged a per plate fee for using the machine which covers the instrument’s service contract. Users can request training or schedule instrument through our online Submission System. Droplet Digital PCR is a technology that provides absolute quantification of target DNA, or cDNA molecules, without the use of standard curves. Training for this instrument is intensive, however the GSL will coordinate with BioRad technical representatives in order to offer training at least once per semester. Trained users will be given access to an online calendar where they can sign up for instrument use time. Customers are responsible for setting up their own reactions. 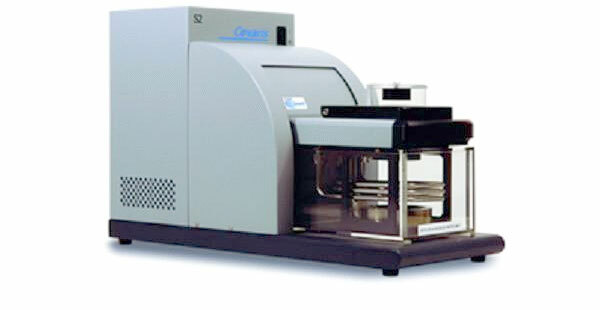 Customers are charged a per sample fee that is used to cover the instrument’s service contract and droplet reader oil. Training and instrument use are available through our online Submission System. 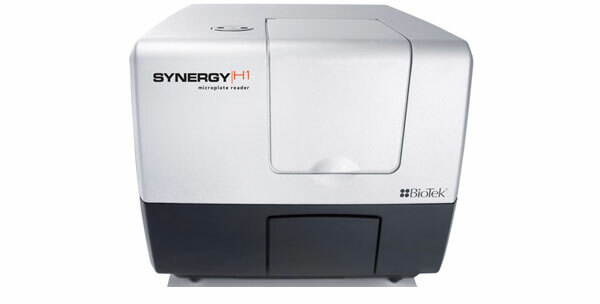 The GSL allows trained customers to use our Synergy H1 Hybrid Plate Reader after training on the instrument has been completed. Trained users are given access to an online calendar where they can sign up for a time to use the instrument. Customers are responsible for setting up their own reactions. Customers are charged a per plate fee for using the machine that is used to cover the instrument’s service contract. Training and instrument use are available through our online Submission System. The Qiagen TissueLyser homogenizes tissue for nucleic acid extraction by utilizing high-speed mechanical shaking in conjunction with steel, tungsten carbide, or glass beads. The GSL instrument has 2 adapters which accommodate 24 – 1.7 μl microcentrifuge tubes for a total of 48 (24 x 2) samples. Training and instrument use are available through our online Submission System.